Have you ever wanted to mow the lawn while sitting on your front porch sipping iced tea? If this is something that sounds too good to be true, this may be one of those times that it is true! 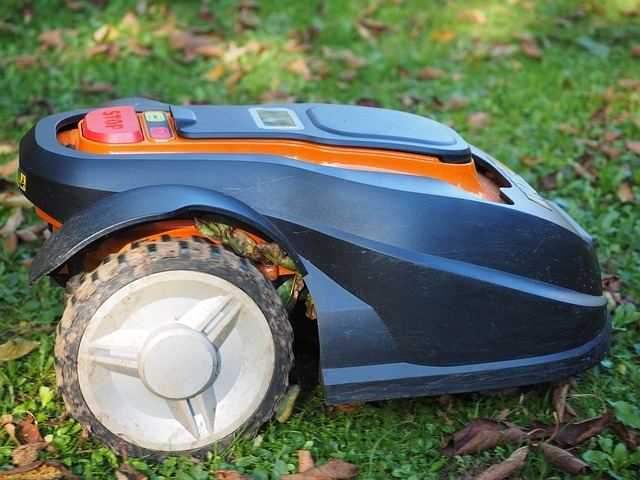 Robotic lawn mowers may have finally come into their own. What exactly is a lawn-mowing robot? A robotic lawn mower is an autonomous robot used to cut lawn grass. A typical robotic lawn mower requires the user to set up a border wire around the lawn that defines the area to be mowed. Robot mowers tend to either be able to mow very fast and cover large areas of lawn or to be slower and more precise. Most of the mower bots have been used in commercial applications such as golf courses. Mowing the lawn is one of those tasks that is destined to be a big robotics market when the technology finally advances to the point to make the robot mowers cost-effective and easy to set-up and use. As far as dreaded jobs around the house, it ranks right up there with dishwashing and laundry. It might be hard to imagine, but the first or at least one of the first robotic mowers was introduced in 1969. 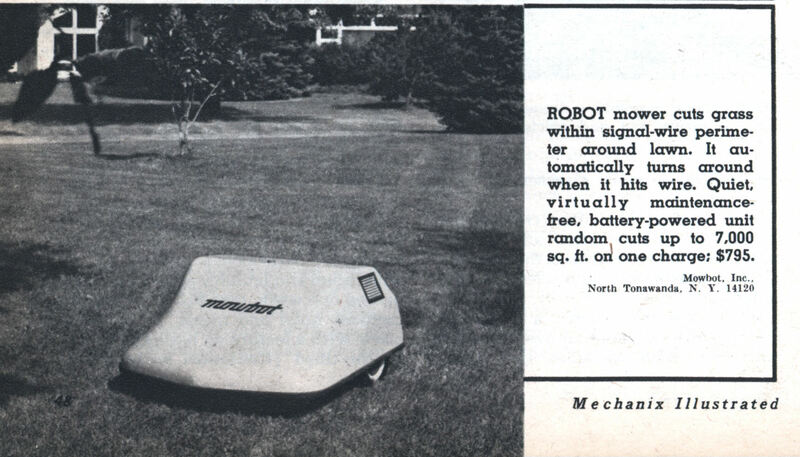 Possibly the first commercial robotic lawn mower was the MowBot, introduced and patented in 1969 and already showing many features of today’s most popular products. Most of the barriers to the wide use of robotic lawnmowers by the average homeowner has been the expense of the units and the fact that a boundary wire had to be set up to keep the mower from straying into the neighbors bed of prized roses. 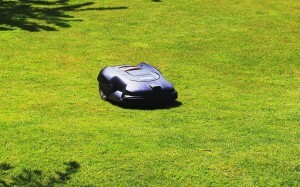 By the end of 2005, robotic lawn mowers were the second largest category of domestic robots. By 2012, the sales of robotic lawn mowers far outpaced that of the traditional mowers. Several features have changed over the years in the mowing robots. For one, many of the robots are self-docking. They can park themselves when finished with the job. Another feature of some robotic mowers is the addition of rain sensors. What these added technologies mean is that the robots do nearly all the lawn mowing work. Smartphone use has increased to the point that some robotic mowers now incorporate their use. Many have integrated features within custom apps. The apps can be used to adjust settings or schedule mowing times and frequency. It is possible to manually control the mower with a digital joystick from the device. The new iRobot mowers use a system of stakes that broadcast a radio signal to mark the boundaries for the bot. 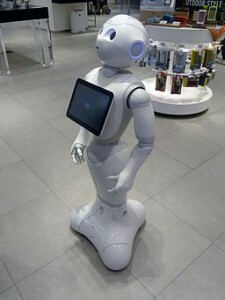 The recent approval of iRobot’s application for its new robot mower is not without controversy. Although the Federal Communications Commission (FCC) has stated that the devices will not interfere with a critical area of radio frequencies used by radio telescopes, many radio astronomers are not convinced of the arguments. They remain opposed to the use of these radio transmitters in the boundary of the mowers. The U.S. Federal Communications Commission (FCC) has recently given its approval to the company for the release of a robotic lawn mower (RLM), according to a report from Reuters. FCC ensured that the signal beacon from iRobot’s device does not interfere with radio signals. Are robotic lawn mowers finally at the breakthrough moment? Would you buy one? Tell me what you think. iRobot is demonstrating it is serious about its education outreach program. SPARK or Starter Programs for the Advancement of Robotics Knowledge, as the program is known, is out to show students and teachers how robots work. Previously, this effort was detailed in a post from September 8, 2009 here on RobotNext. It would be nice to see iRobot use its iCreate platform to greater effect. Read the article at the link below. 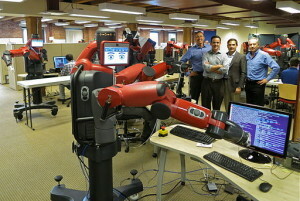 Here are two stories about iRobot’s latest entry in the robotics field. iRobot has decided to create a robot to assist elderly patients in there homes. The question is will this robot also vacuum the floors? iRobot calls this area of robotics assistive technology and it’s purpose is to promote wellness and quality of life for seniors. I don’t see why this would be limited to older folks, it would seem that anyone in need of assistance in their home could benefit from these machines. Read the articles below for more on these homecare bots. BEDFORD, Mass.–(BUSINESS WIRE)–iRobot Corp. (Nasdaq: IRBT – News) today announced that Colin Angle, iRobot’s chairman and chief executive officer, will discuss the role of robots in the future of healthcare during a presentation at the TEDMED conference in San Diego, Calif.
At the event, Angle will also introduce Tod Loofbourrow, president of iRobot’s newly-created healthcare business unit. The new business unit is committed to exploring the potential of robotics as an assistive technology to promote wellness and enhance quality of life for seniors. In this role, Loofbourrow will be responsible for all aspects of the group’s strategy, research and operations. He will report directly to Angle. I have thought for some time now that iRobot could really make an impact in robotics education. The Robot Stock News blog has this article about the new program sponsored by iRobot that may finally be the thing that promotes robotics education for the company. After all, they are pioneers in robotics, and as such, it is to their advantage to promote the learning side of robotics. The iRobot Create has long been touted as an education tool, but I far as I know, it has never lived up to its billing. Too bad, since I personally like the Create as an education platform. Lots of potential for development in that system. So, this is a worthy effort and one deserving of wide-spread support. One thing for sure is that there cannot be enough robotics education programs. Students love robots and robots will be the hook to get kids into science, math, engineering, and technology fields. 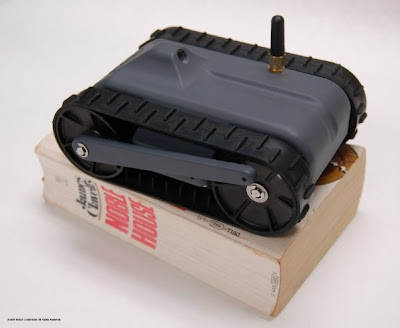 The photo thumbnail below links to the CNET article from January 7, 2007 on robots built using the Create base platform. If you look there, you will see a robot that can hand you a canned beverage, a hamster-steered robot, and an robot that serves up advertisements. Here's some real exciting news — iRobot is getting ready to debut a major new effort to kickstart robotics education. It's called SPARK, and iRobot is testing a new website to go along with the effort, with what looks like a dozen major partner. The website is at this link.